Starting Friday, August 18 (that’s tonight!) at 10:00 p.m. Eastern Time, a group of small woman owned and operated businesses are coming together to auction off a selection of items to benefit my friend Patsy who is battling lung cancer that has spread to her liver and brain. If any of y’all are so inclined, this is a great opportunity to purchase some handcrafted items and get a head start on Christmas shopping. Lots of baby/child friendly items, but I have also noticed stitch markers for knitting, playsilks for children, wool felted items, handmade shoes, and a gorgeous hand-dyed handknit scarf. 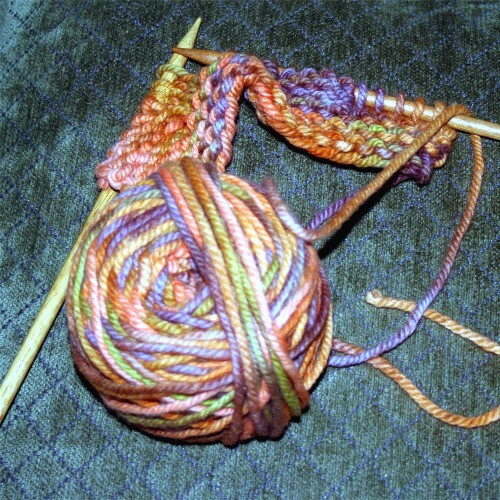 I’ve got some hand-dyed yarn included, pictured below. The link for the benefit is http://www.middayfaire.com. I would be really grateful to any of you who want to come and bid and purchase items to help out Patsy and her family. To find my yarn, scroll about midway down the page to the "Elliebelly" store. 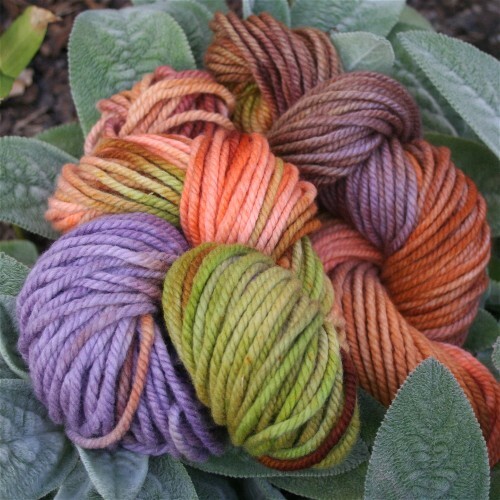 You will find the yarn there — two skeins of a lovely bulky merino. I was excited to see some of your work up for bid — we will be shopping! The playsilks are gorgeous.